As you can see we have now launched our innovative new website, which promises to provide everything you could need when looking for insurance. The site makes it even easier to get an insurance quote or find out more info on getting the best caravan or motorhome insurance deal, plus there are plain English explanations of the insurance cover available, and an extensive news and reviews section which includes model reviews written by professional caravan and motorhome journalists. Visitors can get a quote and purchase tourer caravan or trailer tent policies online, plus documentation can even be sent to you by email rather than traditional post as part of the Paperless Policy system where £1 is donated to Heart Research UK for every Paperless Policy purchased. Online motorhome quote and buy is also coming very soon to the website. 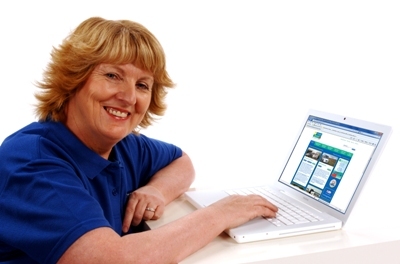 “Existing customers are catered for too; there’s a dedicated area of the website which has downloadable documents such as sample policy booklets, information on what to do in the event of a claim, and all the relevant telephone numbers and contact details customers need, plus much more.” Heather added. We conducted extensive research on the latest developments in website design and compared the leading websites from top UK brands. The development team also involved caravan and motorhome customers throughout the research and development stages, to ensure they stayed true to what owners wanted. Our in-house design and web development team then pooled this information to develop a website which is perfectly suited to caravanners and motorhomers, and extremely simple to use. We think it’s really important to let you have your say too, and want to encourage users to comment on any articles featured in this news blog. There are also some state of the art features which are yet to be made ‘live’ on the site, including a ‘live chat’ feature which allows caravan and motorhome customers to speak to an insurance adviser instantly through the website, and a fully ‘live’ searchable FAQ’s section. It means an answer to questions quicker and no need to pick up the phone.